Only the Outdoor package is available in India. 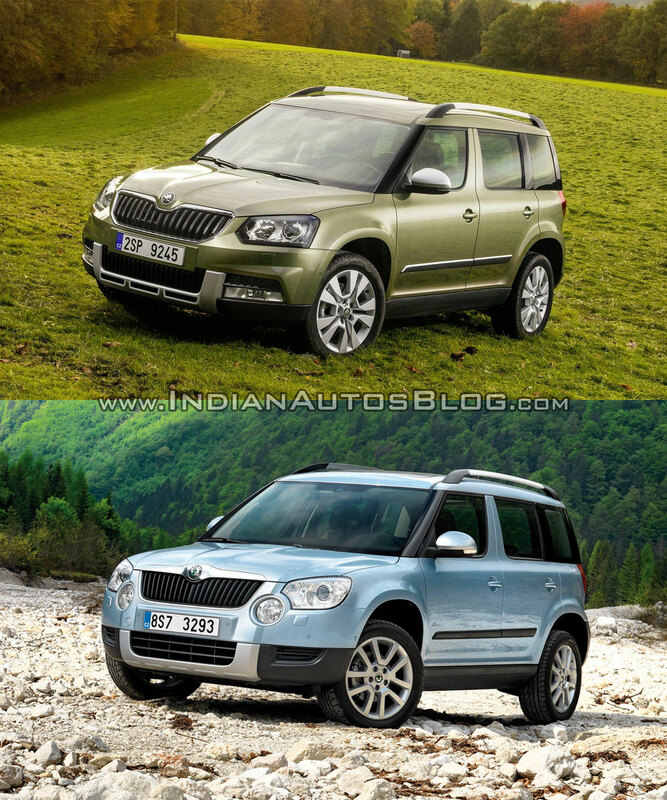 The Skoda Yeti facelift is here to have another attempt at the premium SUV segment, brushing shoulders with much bigger vehicles like the Toyota Fortuner. 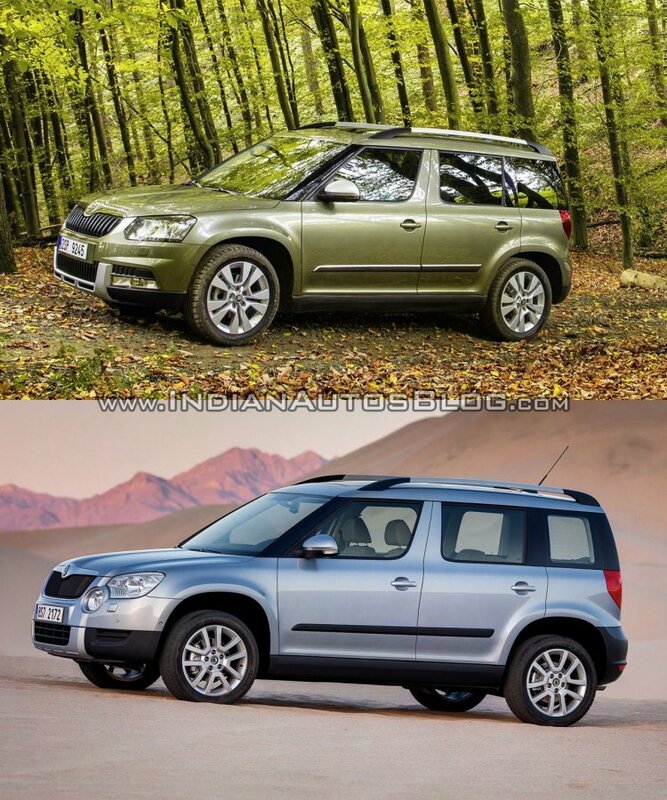 Here is a visual comparison of the 2014 Yeti and the pre-facelift version. While there are two visual packages namely 'Outdoor' and 'Style', only the former is available in India. 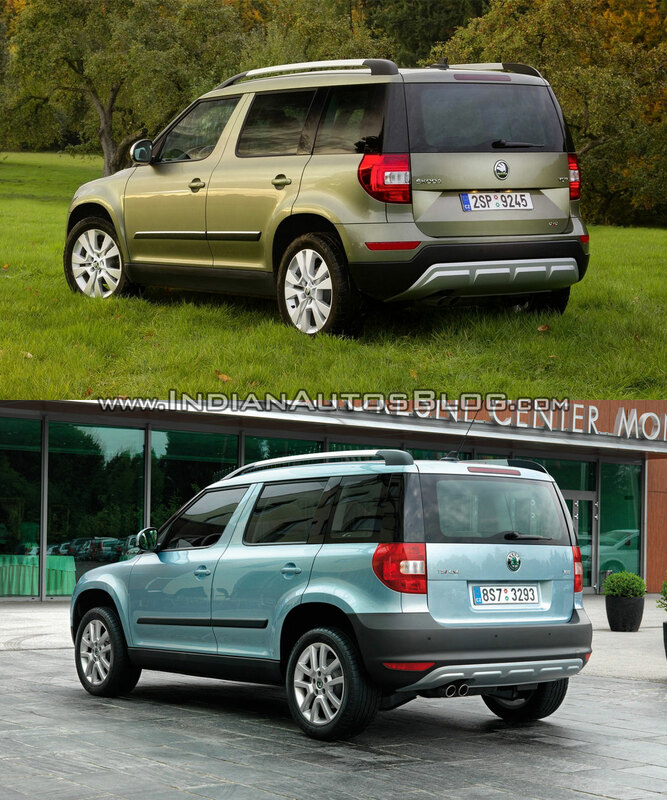 The 2014 Skoda Yeti omits the circular foglamps. The instantly noticeable change when viewed head on is the absence of large circular foglamps that gave the old car its unique appeal. Contrast roof option and new alloy wheel design would be the noticeable changes to the side profile of the facelift. Instead, Skoda designers opted for angular headlamps and a revised grille both of which subscribe to the latest family identity. The totally reprofiled bumper houses rectangular foglamps at the conventional location. The tailgate and combination lamp detailing are revised. The quirky silhouette of the crossover has been carried forward as it is but the refreshed car offers options for contrast roof colors and also has a new alloy wheel design. Changes to the rear fascia come in the form of a contoured tailgate which has now become the Czech automaker's signature touch, a reprofiled bumper and new LED taillight detailing. 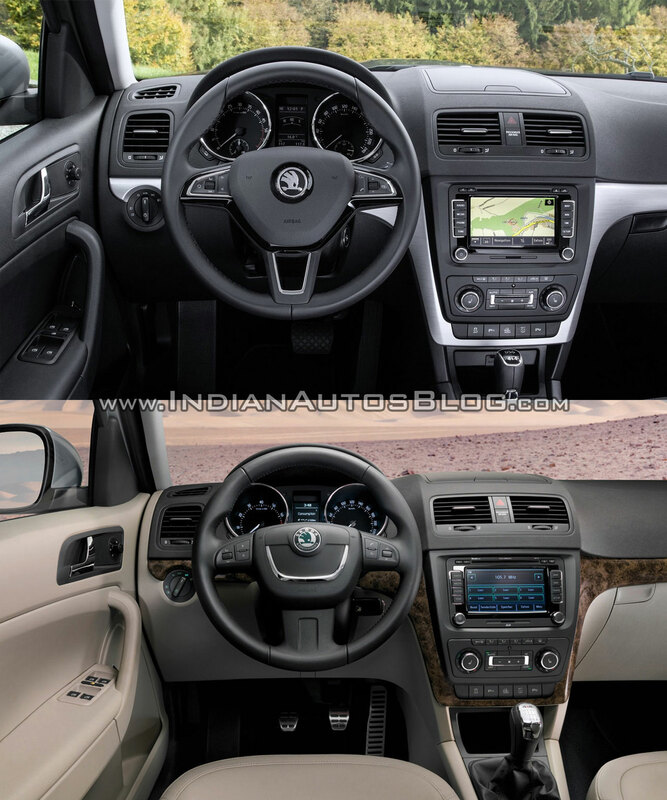 The new three-spoke steering wheel has been derived from the other new Skodas. Inside, the 2014 Yeti greets the driver with a new three-spoke multifunction steering wheel which is again a new norm across Skoda's model range but the rest of the components continue as they are.